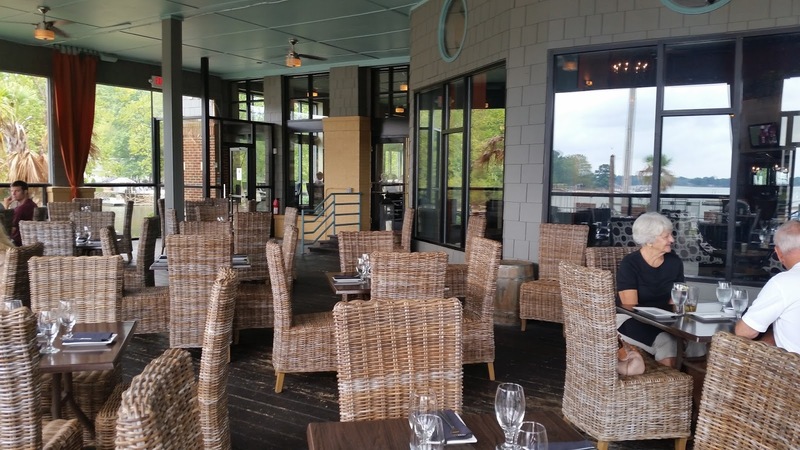 This edition of Excited about Eating takes us to Port City Club in Cornelius, North Carolina. 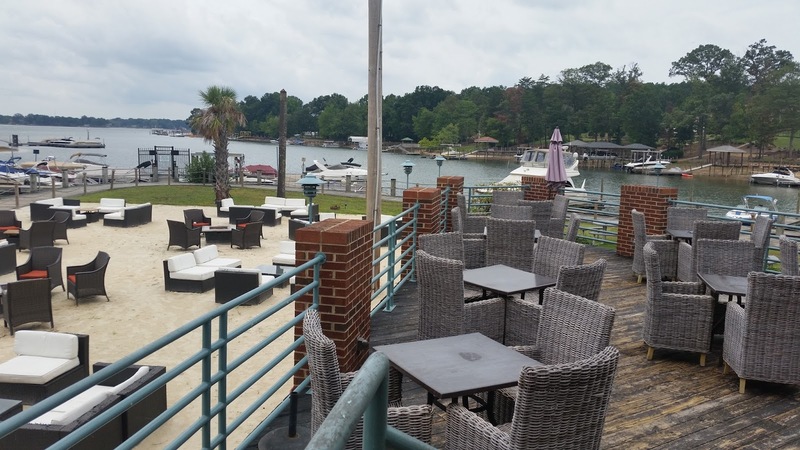 This lakefront restaurant is located on Lake Norman, where you can drive, walk or boat to your meal. Dora here. How have we not discovered this gem sooner? What a glorious day for sitting outside! Everybody else agreed with us. 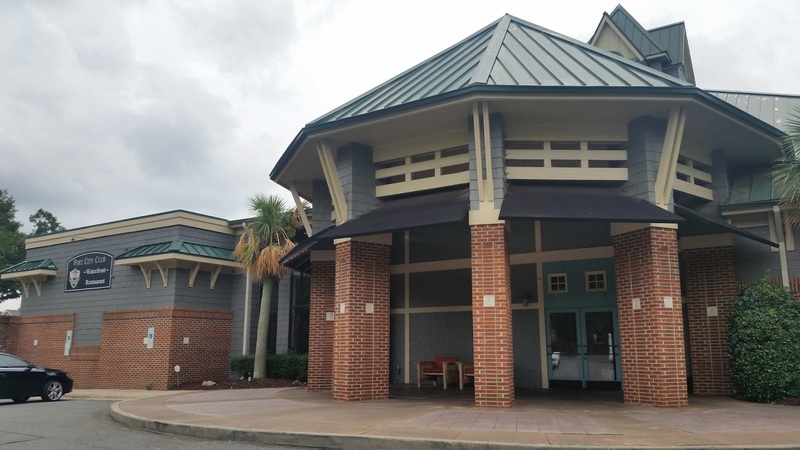 Port City Club offers generous seating inside and three different levels outside, including one covered. What a gorgeous, relaxing setting for any meal. For my meal, I chose the Lobster and Shrimp Roll. 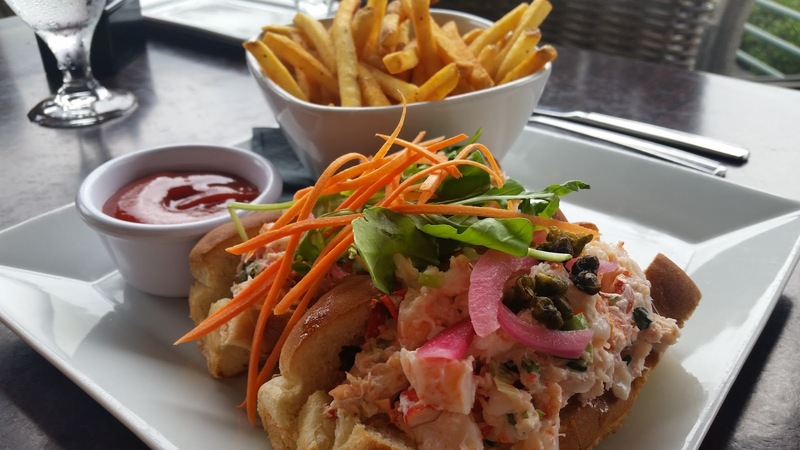 Maine lobster, poached shrimp, scallion, basil, and mayo served on a New England style split roll. Huge and meaty with just the right amount of mayo, this sandwich was outstanding and matched any meal that I enjoyed during our visit to Maine. Dora here. 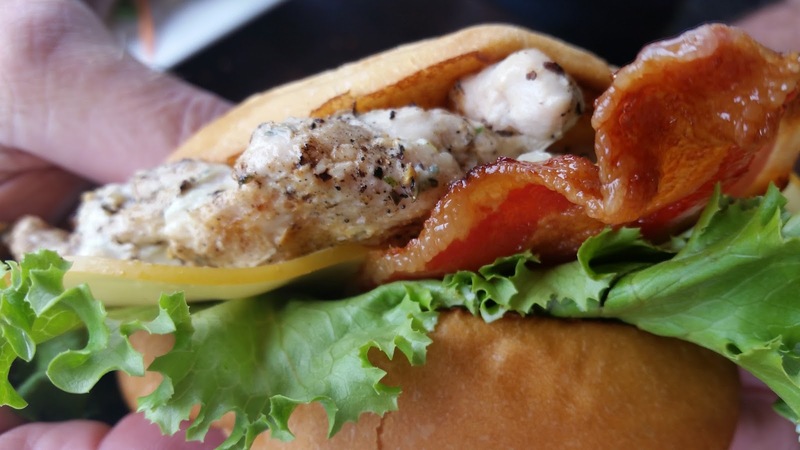 I opted for the Port City Club, grilled chicken, bacon and smoked Gouda on a brioche roll. Delish! 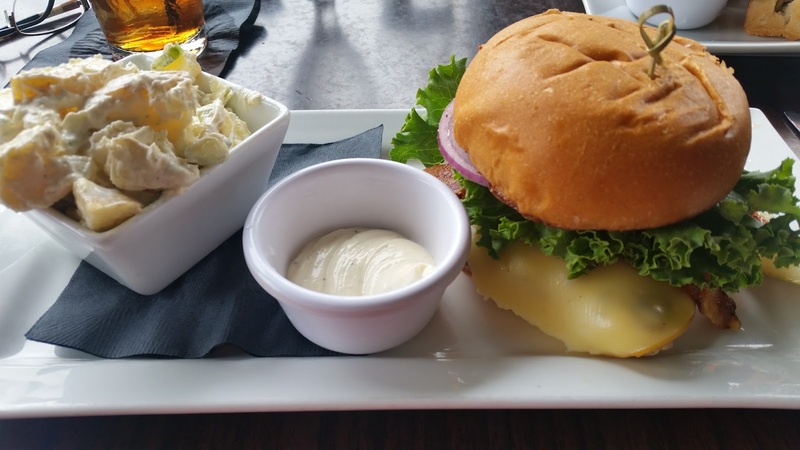 Tender, moist, and jazzed with a garlic aioli, I’d definitely go back for a repeat. The service was attentive, friendly and flawless. Not once did our tea or water glass drain, and every time a server walked by, used items were scooped from the table with a smile. It’s the perfect location for brokering business deals, families with active children, and couples looking for a romantic setting. Thanks Tanya, the food was great and the setting outstanding. Thanks Jill, everything you have heard must be correct. The food was great. Hey Tanya. I'm jealous of all the waterside pics you post! Give me a waterfront restaurant option and I'm all over it. Thanks for popping in. Love and hugs! Enjoy the rest of your weekend!